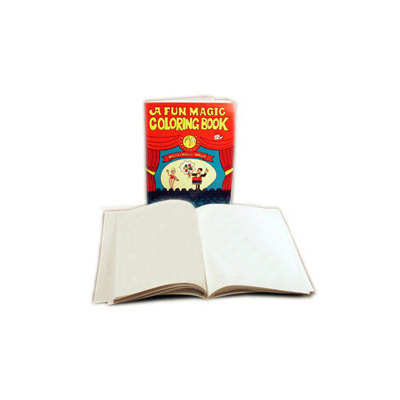 Today, when you order "Fun Magic Coloring Book (Blank) by Royal Magic", you'll instantly be emailed a Penguin Magic gift certificate. You can spend it on anything you like at Penguin, just like cash. Just complete your order as normal, and within seconds you'll get an email with your gift certificate. Order in the next 8 hours 1 minute and it will ship TODAY! 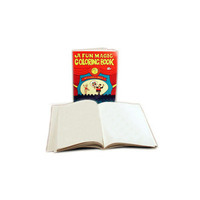 Just about every children's magic or clown does the magic coloring book. Unfortuantely, so have a lot of kids! If you want to fry the youngster who thinks that they know the method, this prop is for you... a blank Coloring Book! I had a girl tell me her grandfather had shown her the secret of the magic coloring book. I left my blank version lyuing out after the show. The grabbed it to show her friends but for some reason she couldn't get it to work! You can hand this out for examination during the routine and a simple switch while grabbing a wand or calling for a volunteer will really mystify even the most challenging child. I got this after several kids asked to see the book. Worth the $5-$6. I like to leave it on the table "on accident" once I'm done. Watch the smarty pants face when he/she picks it up.